On Xmas eve, I received the last puzzle delivery of the year from my good friend Martin Fox. His Puzzle store has gone from strength to strength and I am so pleased that he has done so well. It may even become his full time job next year - I hope to contribute to that myself as more great twisty puzzles come out. Leslie Le's Very Puzzle company have produced some new variants on the Geranium puzzles which I missed out on when they were originally released. 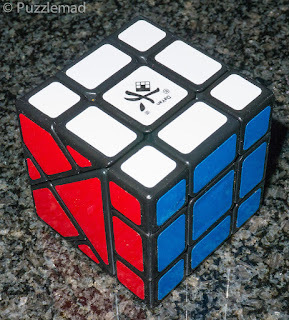 Leslie also produced a new variant of the smaller (?and easier) mini puzzle which I couldn't resist. 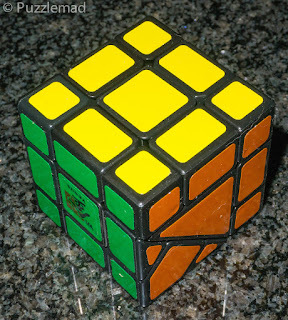 The yellow "arm" have been divided up to allow the puzzle to scramble further and maybe I will manage to solve it? Looking at it in front of me now, I very much doubt it! 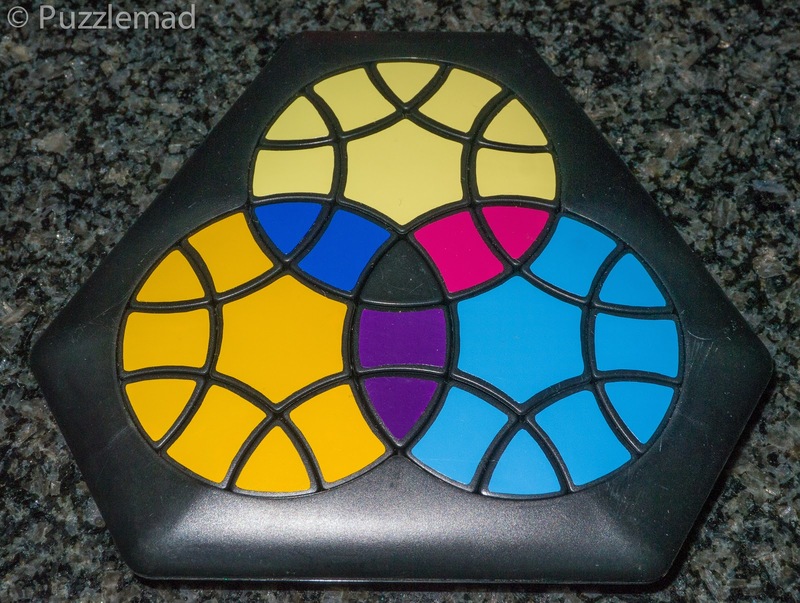 The Hex shaper is another 2D twisty puzzle which resembles the top of a megaminx. When it was released I thought it might be too easy but subsequently puzzlers revealed that the disks are not flat and it can be solved for colour but the pieces be in the wrong place and the puzzle not return to flat shape. I couldn't buy just one puzzle from Marty so added this to my list. Not sure I can solve that either! 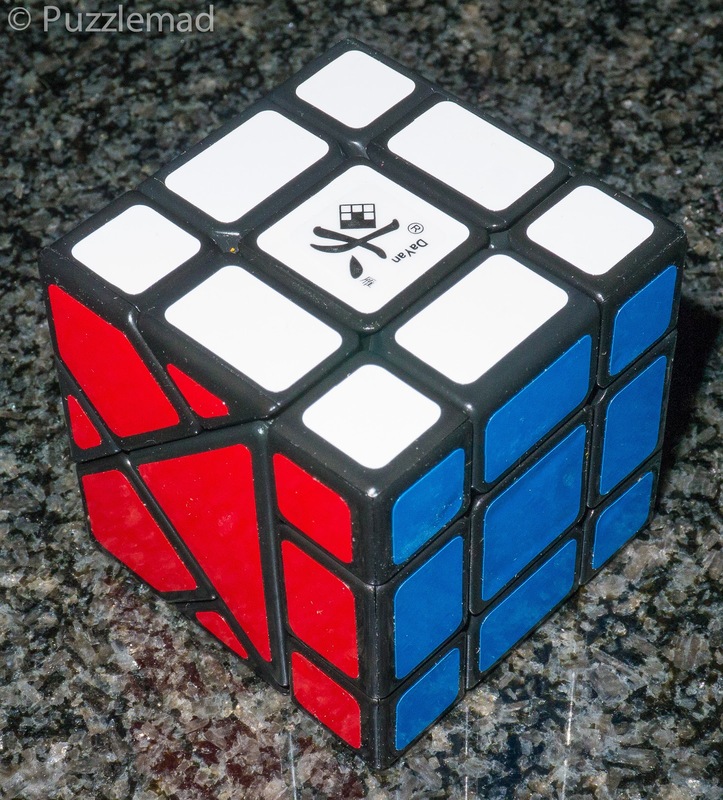 Finally, I was not planning on buying this - I bought the Mars version of the Bermuda cube a few years ago and could not solve it....I got to the last face and couldn't orient the corners no matter what I tried! Recently Pete Wyspianski showed off on Facebook that he had begun working on the series again. I expressed my despondency that I couldn't do them and on Messenger Marty and Paul Morrison ganged up on me and encouraforced me to buy a new one to get my skills up! 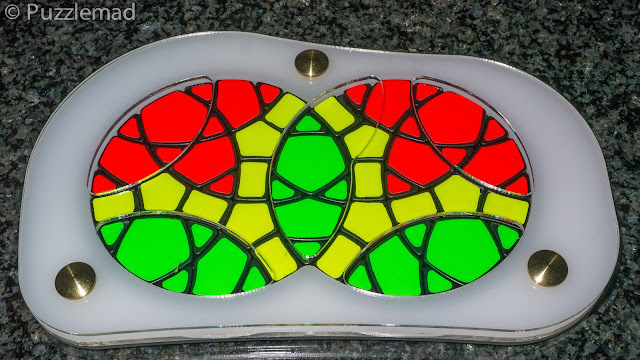 So here we are with another puzzle I will never be able to solve! You three should be ashamed of yourselves - you are a bad influence!